Today in History–November 26–the Library of Congress features Thanksgiving, designated by President George Washington on this date in 1789. Seventy-four years later, in 1863, Abraham Lincoln issued a Thanksgiving Proclamation that declared the last Thursday in November national Thanksgiving Day. 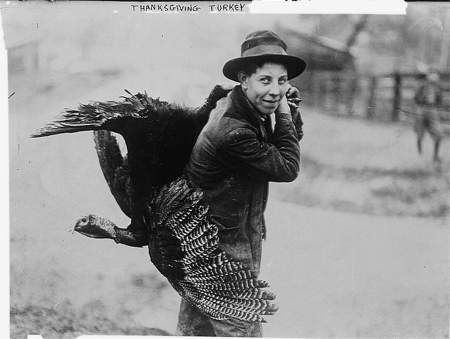 Learn more about U.S. Thanksgiving traditions by visiting the Today in History section, then click the links below to access more primary sources, background, and teaching resources. Who Celebrated the “First Thanksgiving”?